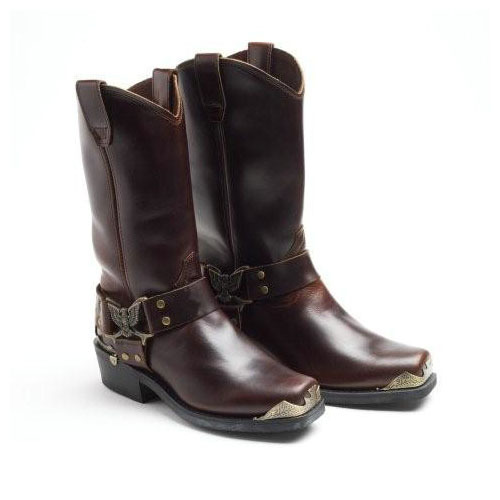 Mens Footwear: Grinder Long Eagle Style Cowboy/Biker Brown Boot. Grinder Long Eagle Style Cowboy/Biker Brown Boot. You are viewing a Grinder cowboy /western boot. All leather uppers withthe original English goodyear welted sole construction. The boot is in a shaded brown effect with a fixed strap d-ring detail. The boot has an eagle on the outside strap with toe caps and heel caps for effect.